My passenger side brake does not engage when I pull the parking brake. The cable pulls on the lever, but the brake caliper doesn't move. I also can't move it myself. The driver's side works okay (and I can engage it by hand). It also seems like the brakes work on both sides when depressing the pedal. Comparing it to the driver's side, it actually looks like the lever on the caliper is stuck in the "on" position (i.e., the lever is pulled all the way back as if the parking brake handle is pulled up), but I'm getting no engagement from the parking brake on that side (wheel will spin). Any thoughts on how to loosen this up, or should I be thinking about replacing my caliper? Does sound like the caliper is stuck. It would probably be easiest just to get a replacement caliper. The caliper would need to be totally pulled apart and gone through to see what's binding up. 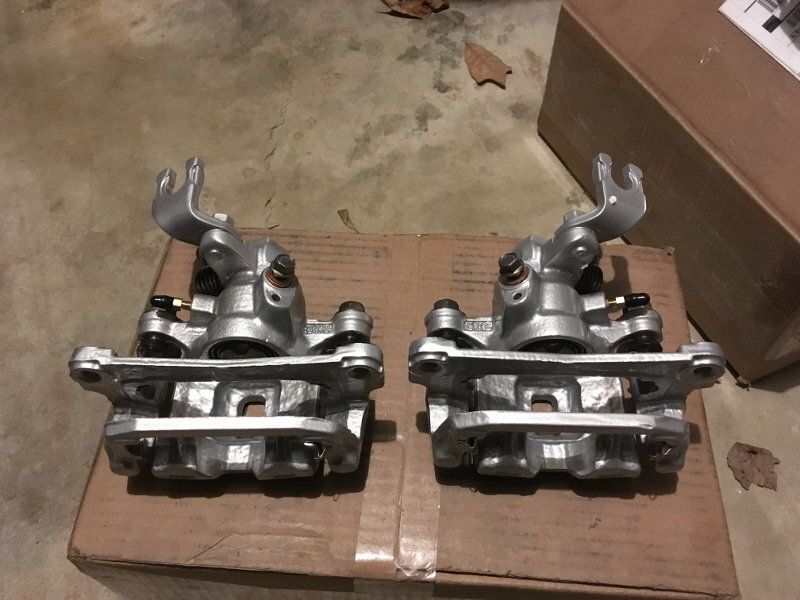 Also be careful with whatever replacement caliper you get if you decide to swap it, some/many of the re-builders do an awful job and wind up destroying the caliper in the "rebuild" process. I had a big problem with A1 Cardone calipers - I would never buy anything from them again. Centric seems to be better, but no guarantee. Best to locate a good used caliper from a forum member and rebuild it yourself if needed. Or, pull yours apart and free it up and rebuild it. Had the identical issue several years back. IIRC I bought a rebuilt caliper thru Ray Crowe. Price wasn’t bad, wasn’t worth the trouble of tearing down and rebuilding the caliper myself...which is what it takes to fix that. But that was when Crowe was with Malloy Mazda...not certain he deals in rebuilt now. And I did have return a core for credit. Still, it’s been good ever since. 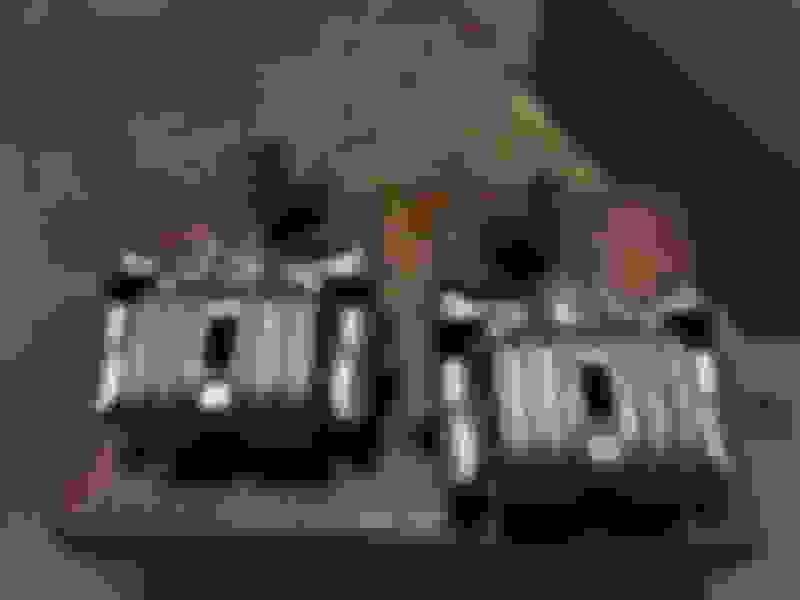 Last edited by Sgtblue; 01-31-19 at 11:17 AM. Still worth a call to Ray to confirm. He always has tricks up his sleeve. This is a shameless plug for the best person to ever happen to State-side FD owners! Thanks all. Looks like a caliper replacement in my future! Thanks for all the advice! I feel like this is a thing. Maybe I'm just having a run of bad luck. I've had two right rear calipers do the exact same thing to me. One of which after a fresh rebuild. The first time I didn't even notice it and ended up snapping the bolt on the parking brake adjustment. When I was replacing that is when I noticed it was seized. Didn't even heat up or smell like over heating brakes even though I figured it would have been dragging all the time. I had this issue initially when I was going through and swapping out rotors/brake pads for new ones. I ended up having to rebend the small spring that sits on the E-brake post so that more tension is on it when the e-brake is pulled itself. Seems the small spring had finally worn down after all these years. I probably should've purchased a new one, but rebending it worked just fine and parking brake now holds both wheels with ease. I'm dealing with a similar issue right now, the parking brake stopped working on my rear right caliper and the rear left was sticking so I installed a spare set I thought was good. The parking brake works now but the rear left caliper I thought was good used is dragging bad. I am unable to find remans anywhere and will be calling Ray today after seeing Sgtblue's post. If Ray only has new ones I'll call Goldline brakes and see what their price is to rebuild them. When I inquired about having a whole set rebuilt by Goldline in May the price quoted was $875 plus shipping both ways. In my case, the lever is pretty firmly seized up, so I don't think it's just wear on the spring. I've ordered a replacement caliper from RockAuto (got the Centric ones), so I'll dig bit deeper into it when it arrives. I'll follow up with an update if I find anything interesting! You probably got one of the last ones. They are showing out of stock nearly everywhere. Centric- They have no stock but you can send in your calipers through one of their distributors to be rebuilt. The closest distributor to me is Olympus auto parts and without a customer account or a guy giving you a deal you pay the public price. The public price listed for pairs is $243.88 for a sandblasted finish or $288.66 for coated loaded remans. Goldine Brakes- The owner/operator John is very nice and has been in business a long time, he seems like he does rebuild for a lot of higher end cars and calipers. 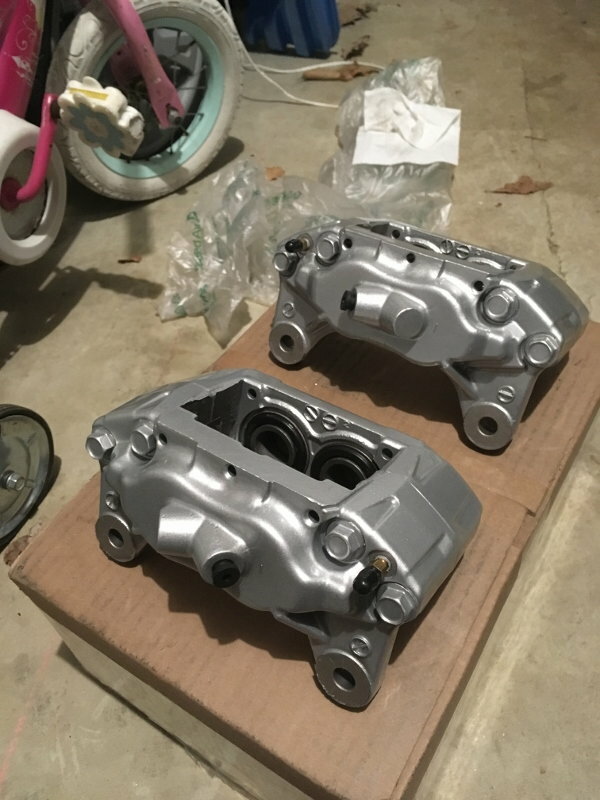 You must send your calipers in and pay shipping both ways, a high temp polymer coating is offered for an additional charge per calipers and he asks you to send in your pads of choice if you choose to have the coating done. He will supply standard bleed screws but will install speedbleeders if you supply them with the calipers. 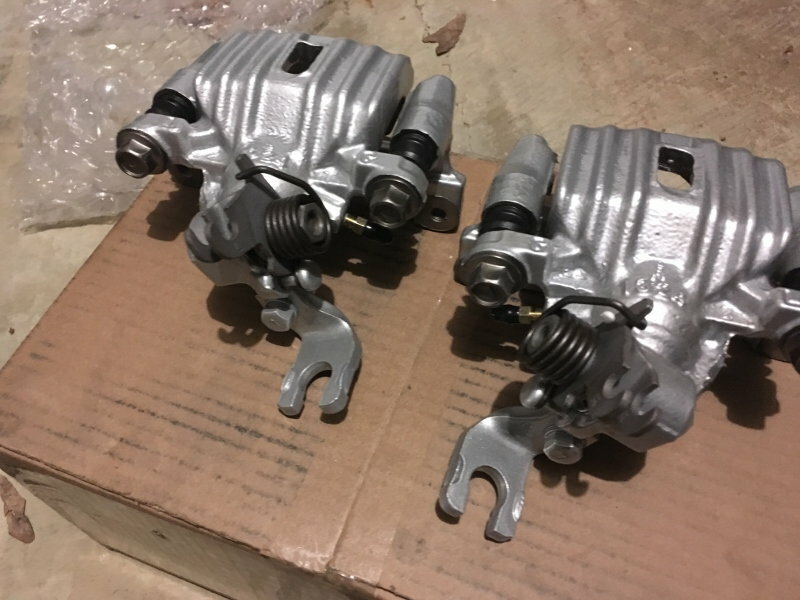 The price I was quoted is $118.95 per rear caliper and $65 for each coated caliper, a coated pair would be $367.90 plus shipping. 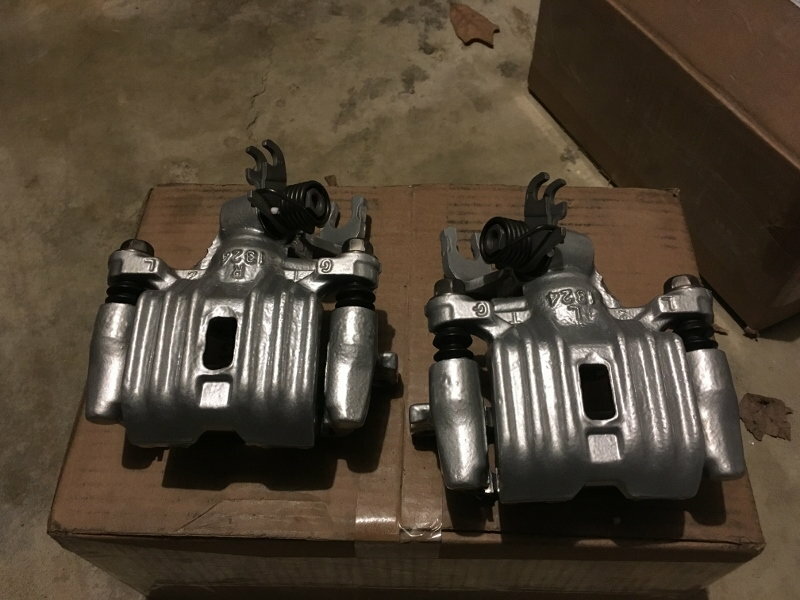 Phoenix Brake Co.- I found them through an internet search, they are another company who has been in business many years but are a larger scale operation. They offer a quick turnaround for re-manufactured calipers to OEM specs and powder coating. The standard finish is raw steel shot blasted and like Goldline you must pay your shipping to and from them and they would install speedbleeders if your supplied them. The owner was very knowledgeable and even offered to pay cash or apply a credit for extra cores I had. 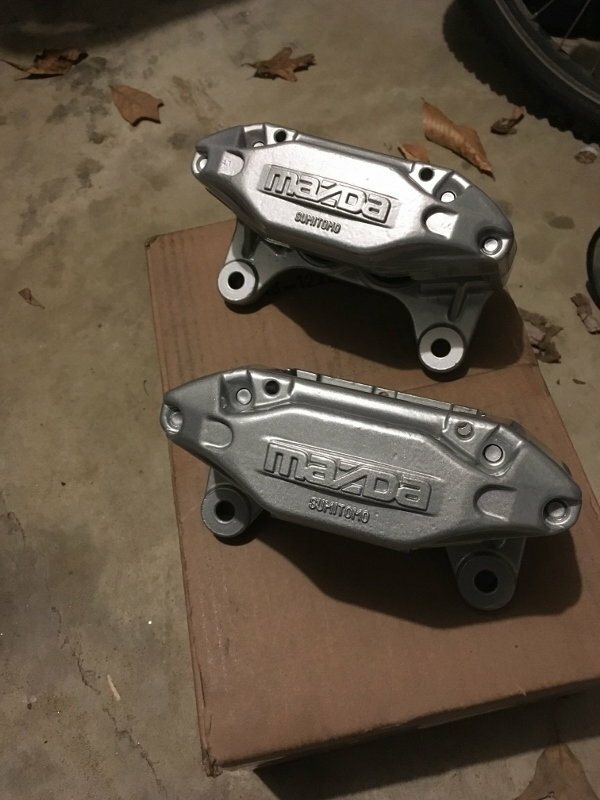 They were the best priced at $75 for each rear caliper and a flat powder coating fee of $150 for up to four calipers, they did mention the powder coating would not be encapsulating because they tape off the center piston sections of the calipers. The total for a rear powder coated pair would be $300 plus shipping. Because their powder coating fee was for up to 4 calipers I inquired about the cost for front rebuilds and was quoted $65 for each, a whole set powder coated would be $430. Phoenix Brake Co. - Brake Calipers for any vehicle. From airplanes to trucks to Dump Loaders. Note: I found their website pictures to be of poor quality, they have a facebook page with much better pictures if you look for it. That's where I stopped; ideally I'd like to go with Goldline because their polymer finish and my perception of their quality seems better but based on value and the fact that I have a whole extra set of calipers I think I'm going to move forward with Phoenix Brake Co. I just need working calipers- not show quality pieces. Make sure that the rebuild works properly before sending back your original one for the core fee. 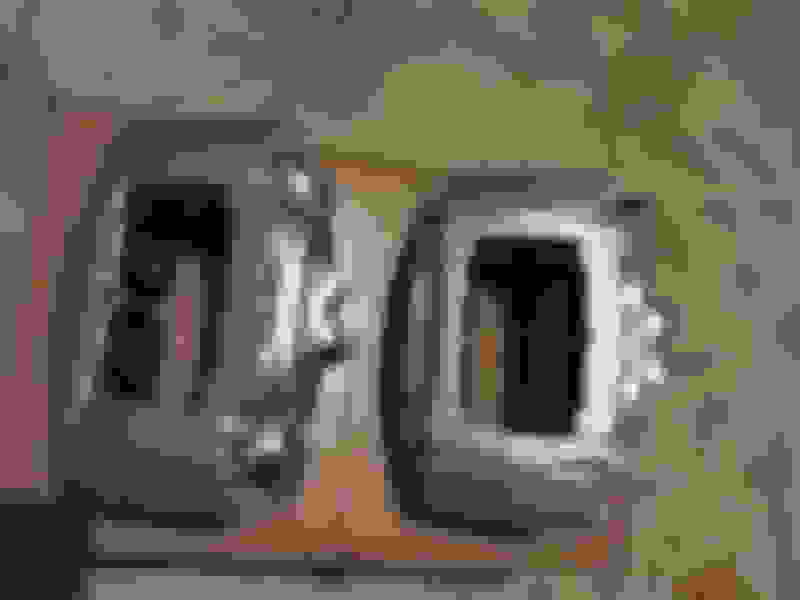 Sometimes rebuilders shot blast off the sealing rings around the brake hose fitting, the caliper is junk after that. That's what I got from the "A1" place. I like the sound of a professional shop that can rebuild parts that are shipped to them. Good info for the future. I have a right rear caliper for sale if you're interested. Also have the E-brake cables too. Just to close the loop, I replaced the caliper with a Centric reman, and all is well again. Thanks, everyone for your help! 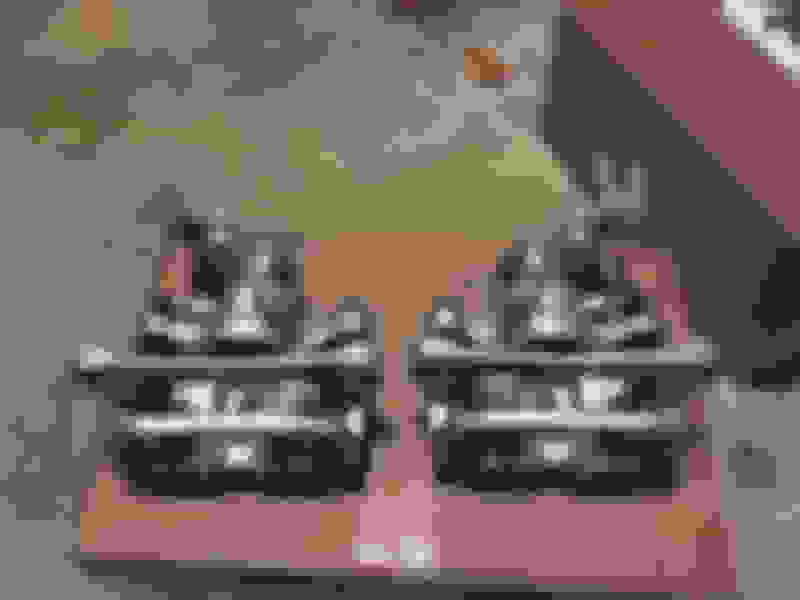 Which big brake kits retain the rear parking brake?